I know its 20 degrees out, but we’re only a month away from opening day for the Nats, colleges started playing two weekends ago in the warmer states, and local amateur leagues can start as early as April 1st. So lets talk some local baseball. I thought it’d be of service to readers to summarize information of known local adult/amateur leagues for anyone who is perhaps interested in getting back to playing, or who knows someone looking for a team. If you’re looking for a place to play this summer, now is the time to reach out and start making contacts/sign up to play. I’ve also gone over the Division 1 schools playing in the area and put in some links for those that want to go see some college ball. I’ll list these leagues in perceived order of talent/skill/intensity from highest to lowest. Each site also has links for those who may want to look into playing or watching. I’m not including any youth, AAU, travel, American Legion, Babe Ruth or Cal Ripken (not to be confused with the Cal Ripken collegiate league) baseball here; we’ll start with College-age Adult baseball. I will have a post coming later on that discusses draft prospects in the area worth following, which will give an overview of what high schools are worth looking up this spring. Honestly I don’t know a ton about the big DC area travel league other than listening to complaints from my adult baseball buddies about how they get all the good fields :-). Maryland (being in the ACC for one last season) features several marquee teams visiting this year (2014 schedule here), including UNC, NC State (with consensus 1-1 overall pick Carlos Rodon), and Clemson. Mason’s best home opponent (2014 schedule here) may be 2013 CWS participant St. Louis. Georgetown’s 2014 home schedule‘s best visitor may be Seton Hall (the new Big East isn’t that big into baseball), and GW’s home slate for 2014 highlight may be Rhode Island. These schools are playing each other in mid-week stand-offs here and there, and new A-10 rivals GW and Mason face off more than a few times this year. Personlly, I’m kind of bummed by Mason’s exit to the A-10; it means no more visits to or from my alma mater JMU, an itinerant baseball power. JMU does a mid-week visit to Maryland after playing a 3-game set in Towson; that’s about as close as they come to DC this year. 2. DC-Area Summer Collegiate Leagues: Once the NCAA seasons are done, lots of college players debunk for wood-bat leagues. The local wood-bat Cal Ripken Collegiate League has teams from DC, Maryland and Virginia and is the successor to the long-running Clark Griffith League (one of the first wood-bat leagues in the nation but now defunct: the Clark Griffith league suspended operations in 2010 and has not been able to re-start itself). The Cal Ripken league has flourished and expanded since its inception, taken some of the former Griffith teams and now has at least 12 teams competing. The marquee team is the Bethesda Big Train, named after Senator’s great Walter Johnson and whose home games are at the fantastic Shirley Povich field in Bethesda (also the home-stadium of Georgetown University). If you havn’t seen games at Povich, you should take a drive up there one night this summer and take in a game. The quality of play is good (the players are either Division-1 college players or elite HS prospects) and the field is great. The Cal Ripken league is a step down from the famed Cape Code League in terms of summer college talent … but then again nearly every other wood bat summer league is a step down as well. Of the dozens of summer leagues out there, most pundits would rank the Cal Ripken league as a 3rd tier quality league (2nd tiers being leagues like the Valley League, the Northwest league, the Alaska league or the Coastal Plains leagues). But the Cal Ripken league definitely has its share of pro alumni. Eligibility: you must have college eligibility left to play in this league. High Schoolers are eligible but rare. Teams are competitively assembled and hand selected. Most players are contacted through their college coaches, but some are placed via relationships with GMs. The Cal Ripken teams are always looking for host families; if you are interested in hosting a player definitely reach out to the league to volunteer. 3. The Industrial League: The Industrial League is the most elite level of adult amateur baseball in the area, filled with ex-Collegiate players and ex-Pros to serve as close to a “semi pro” league as we have in the area. The current incarnation of the Industrial league plays wood bat and is the combination of two long-standing leagues (the “Industrial League” and the “Credit Union” league). The old Credit Union used to play with aluminum, but went to Wood fully upon its dissolvement. There’s only a handful of teams; this league used to be much healthier. The “history” page on the website is informative and gives some great background on the league itself and its origins. A quick check on 2013’s season showed that they played just a partial slate of games compared to the 40-50 game schedules they used to play. By way of talent comparison; recent industrial teams used to scrimmage the Griffith/Ripken teams and would get wiped out. Not so much because of talent, but because of depth. These college summer league teams have full rosters and massive bullpens. However, many years ago the tables were turned when these industrial teams featured significantly more talent and would dominate the Clark Griffith teams of the time. Personal connection: I played in the predecessor league (Credit Union) for a brief time while in college, and can attest to the quality of play at the time. Eligibility: no restrictions; anyone can play at any age. No restrictions on time sitting out if you are an ex-pro. 4. DCMSBL/MABL: DC Mens Senior Baseball League: a large adult baseball league (the 2nd largest Adult league in the Nation according to MSBL’s records) with divisions ranging from 19 and up to 55 and up. DCMSBL started in 1991 with just a 30+ division and now has dozens of teams split amongst 19+, 25+, 35+,45+,55+ and a wood-bat only league that crosses age divisions. In 2012 the league had no less than 75 teams among all these divisions (each team has to have a minimum of 15 registered players, meaning there’s more than 1100-1200 players in the league). Note: MABL stands for Mens Adult Baseball League, which was formerly the under 30 adult league now rolled into one organization). The DCMSBL amateur league is pretty decent baseball. The 19-and up is essentially a low-end collegiate summer league (though not nearly as talented as Cal Ripken). There is some overlap with teams in the Industrial league and the Cross-age group woodbat leagues. The 25 and up division has a large number of ex-college players and ex-pros, and the 35-and up teams have more than their fare share of ex-major leaguers as well. Its not uncommon to face a guy in the upper 25+ division who was a starter for his Division-1 college team for 4 years and is just a few years removed from that level of competition. There’s enough teams so that there are “upper” and “lower” divisions of play within each age group. From an intensity standpoint, the “upper” divisions are quite competitive each year while the “lower” divisions are less intense but certainly not a “beer drinking” division like you’d see if you were playing softball. Teams are organizing right now for play that starts in the first week of April. There’s a player waiting list that you can sign up for at the website www.dcmsbl.com. Note: there is also the Chesapeake MSBL that covers the Annapolis, Southern Maryland and Howard county areas with similar rules and talent levels to DCMSBL. The two leagues play an all-star game at season’s end in one of the local minor league stadiums (this year in Frederick). Personal Connection: I played in this league for more than a decade, finally “retiring” temporarily (?) to rehab injuries and get our kid out of infancy. We played two seasons in the “upper” 25+ league and the rest in one of the lower leagues; the upper leagues are pretty good baseball, though not nearly as good as the Credit Union of old. Eligibility: ex-professionals must sit out a year before being eligible to play. 5. DC Wood Bat League, formerly associated with NABA and which absorbed teams from the old WARBL. It had 12 teams for 2012 and expanded to two divisions and 14 teams in Spring/Summer 2013 (in prior years they had as many as 20 teams; its good to see them growing). There seems to be some overlap between DCWood and DCMSBL teams, and this league definitely has had some talented teams in the past. Eligibility: 19+, no known pro restrictions. 6. Ponce de Leon league, owned and operated by Bob Duff, serves as an excellent low-key competitive league for players to play. There are a slew of very specific competition rules that control the flow of games, prevent blowouts and limit the ability of pitchers to dominate the league. But this league also guarantees participation and is a great option for guys who havn’t played in years or who are nervous about the intensity of the above leagues. It is now affiliated with the DC Wood bat league somehow; this is a new affiliation and I don’t know all the details other than what’s on the websites. Ponce has two age divisions; 30+ and 48+. You have to be at least 30 and cannot pitch unless you’re at least 36 in the younger division. There are no pitching restrictions in the older division. To show how much inter-linking and cooperation there is between the leagues mentioned here, we met Ponce league owner Duff when he ran a fantastic DCMSBL 28+ team back in the late 90s (they’re now a dominant 35+ team), he owns and operations the Ponce league, which has an affiliation with the Wood bat league, and Duff used to own/sponsor one of the Clark Griffith teams. That’s some serious participation in the local DC baseball scene. Just to add one more note about Duff; he started and runs the Diamond Dream Foundation, which runs baseball programming for youths, has an association with the Nationals and runs a charity golf event every August that features many current and former pros with connections to the Orioles, the Nationals and baseball in general. If you’re interested in playing in this golf event, I’ll be sure to put an announcement out when he starts organizing. Eligibilty: 30+ with restrictions as noted above. No known pro restrictions. 7. Legends Sports Leagues: Has two divisions (19+ and 30+) and advertises itself as a “less pressure” league. Has been in operation for a while based on the pictures from their website. I can’t believe i’ve never heard of it; anyone know anything about this league? 8. Eastern Women’s Baseball Conference: the EWBC is an Adult Womens baseball league with teams from DC to Baltimore that plays competitively. I must admit; I had not heard about them until prompted by suggestions in the comments from last year’s post. I’d love to hear from you if you’re familiar with any other area leagues that I may have missed, or if you have some thoughts on the post here. I know there were lots of corrections and clarifications from this post last year; apologies if I didn’t get them all in for this year. Editor’s note: some of this is reposted from last year’s PSA informational blog about area baseball leagues. The chats come fast and furious; here’s Tom Boswell‘s 2/24/14 online chat. Not much in this one; i’m thinking we’ll struggle to get to the 50 comments we got on last weeks’ version. As always, I answer here before reading Boswell’s answer, and freely edit the “questions” for clarity here. I left out a couple of his non Nats questions this time around. Q: Predictions on Harper’s line this year? A: I’ll go .275/.375/.500 with 32 homers. That’s probably optimistic, but hey, there’s no reason not to project 30 homers for a guy with 80 power. Boswell went .285/.380/.510 and 30 homers. Pretty close. We both just stepped up Harper’s 162-game averages from b-r.com frankly. Q: Predictions on Fister’s line this year? A: Now here, i’ll probably be even more optimistic. I think he goes 17-9 in 200 innings or so, posting a 3.10 ERA and a 1.25 whip. His K/9 will rise slightly and his ERA will drop thanks to dozens of at-bats against opposing pitchers instead of DHs. If he can get a couple more wins he’s into Cy Young territory. Boswell goes 15-11 with a 3.20 era. Q: Why is MLB having a hard time coming up with home-plate collision rules? A: Because there’s no easy answer. The questioner makes it sound like ASA (as in, the Amateur Softball Association) is so much smarter than MLB because they have a give yourself up rule. Well duh. They’re amateurs, as in “these people don’t get paid to do this so lets not build in rules that promote massive injuries.” My amateur baseball leagues were the same way; “Slide or give yourself up; we all have to go to work tomorrow.” In the Pros, it isn’t that simple. One game can decide a pennant, which decides millions of dollars for a team and can change the outcome of a franchise and a fan base. Honestly, I don’t know quite how i’d write the rules, other than to demand that the catcher not block the plate while demanding that the runner not purposely barge into the guy. What happens the first time the catcher DOES purposely block the plate and a runner avoids him, only to lose the out and the manager goes ballistic when the old-school umpire fails to properly call the play? Or the reverse; what happens the firs ttime a runner blasts a catcher who’s giving up part of the plate and somehow doesn’t get automatically called out? I don’t know; I await the rules like everyone else in baseball. Boswell is reserving judgement til he talks to more guys about the new rules. Q: What version of Denard Span will we see this year? A: I sure hope its the September 2013 edition. If it isn’t, then at least I hope Matt Williams has the intelligence to quickly move him out of the leadoff spot instead of stubbornly allowing him to hit .220 for months on end from the lineup spot that gets the most at-bats. Boswell opines about Span and it isn’t positive, but he doesn’t have a guess either. Q: Does an extension for Trout make sense right now? A: For whom? For the Angels or for Mike Trout? Rumors of a 6yr $150M deal out there for Trout; that’s a $25M AAV buying out one pre-arb year and three arbitration years of Trout. How does that make ANY sense for the Angels to do? Even assuming that Trout sents some sort of record for his arbitration years (I believe the record is Ryan Howard‘s 1st year $10M award), he’s not going to come close to that amount over the next four years. He gets at or close to the MLB minimum this year (call it $550k). Lets assume that Trout is a $30M player; that’d put his three arbitration numbers at roughly $12M, $18M and $24M. Under this scenario, the Angels get the next four full seasons of Trout for $54.5 million dollars. Why would the Angels agree to pay him $100m MORE at this point to guarantee two more years? Honestly, this is a fantastic deal for Trout and if the Angels offer it up, grab it. Boswell didn’t even answer the Trout/Angels question. Q: Projected Nats Bench right now? A: Well, you need a catcher (Jose Lobatan). 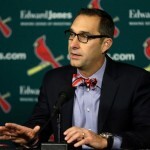 You need an outfielder and we have two under contract for more than a MLB min (Scott Hairston and Nate McLouth). You need a guy who can play both shortstop and second base .. and for me that guy is Danny Espinosa. After that you kind of look at what you need in terms of flexibilty off the bench for the last stop. These four guys include two switch hitters (Lobaton and Espinosa), a righty with some pop (Hairston), and a lefty with some pop (McLouth). Is Tyler Moore that 25th guy thanks to his prodigous power from the right side? Is the better way to go with another utility guy like Jamie Carroll or Mike Fontenot? I don’t know. I think its Moore for now. Boswell says Moore for sure and then a coinflip between Espinosa and Carroll; i think its the other way around frankly. 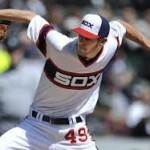 Q: Do Tall pitchers release the ball closer to the plate? A: Yes of course. One of the reasons a guy like Chris Young could succeed despite having only an 86mph fastball; the ball was a foot closer to the plate by the time he released it. I pointed this out when looking at Lucas Giolito‘s mechanics; he’s a huge guy and he takes a massive stride, and I’ll bet he releases the ball a couple feet closer to the plate than some of his peers. Boswell discounts the advantage tall pitchers have. Q: Is there “really” a competition for 2nd right now? A: Not in my eyes. I think Rendon is entrenched at 2nd for the next 6 years and Espinosa will be trade bait before we know it. Boswell says doubtful. Q: When does Giolito arrive and how does he fit in? A: Not for a couple more years. He starts in Low-A with an eye towards mid-season promotion to High-A. Repeat that in 2015 and he ends the season in AA. So then you’re looking at an early to mid-season call up in 2016 to keep his service clock off. That’s a normal progression for a high schooler. That still puts him in the majors before his 22nd birthday. How does he fit in? Well, he projects by all accounts as a #1 starter with a huge arm and big upside. But the year 2016 could be a pretty significant season for this franchise: Zimmermann, Fister and Detwiler all are FAs that season. So this team will be looking for starters. The big 1-2 punch will still be here (Strasburg and Gonzalez) and perhaps one of these FAs to be, but we’ll need reinforcements by that point. Thankfully we have more than a few already knocking on the door and Giolito could be another new guy joining in. Boswell hasn’t seen him but reminds us all that he’s only 19. The NCAA always pegs this needle. I started this post as a rant about the NCAA … but now I’m not sure who i’m more disgusted by, them or the Phillies organization for what was divulged today. An interesting story popped up today; Oregon State Friday starter Ben Wetzler has been suspended by his school while the NCAA investigates his utilization of an “agent” while negotiating with the Philadelphia Phillies last summer. The Phillies drafted him in the 5th round (when his name was apparently “Ben Holmes”) after he went 10-1 with a 2.25 ERA for Oregon State last year but did not sign. The interesting part? The NCAA received this “tip” from none other than the Phillies organization. CollegeBaseballDaily had the tip off, leading to this story from Oregonlive.com. BaseballAmerica’s Aaron Fitt has tweeted about it extensively and has some head-shaking points as cut-n-pasted here from Fitt’s twitter feed. However it was the reaction from MLBDraftInsider’s Chris Crawford (and the post on NBCHardballTalk by Craig Calcaterra) that I agree with here: Crawford basically thinks the Phillies did this kid a huge disservice for no other apparent reason than revenge or spite. And I completely agree with Crawford’s point that whoever the Phillies draft this year should tread incredibly carefully when it comes to negotiations, because the organization really doesn’t look good here. The story is now getting legs, and I personally hope the vitriol towards the Phillies management group continues. Ruben Amaro should be ashamed. Read the Philly.com link; apparently they Phillies also did this with their 6th round pick from last year, who also refused to sign. What the hell?? Why would a team worth hundreds of millions of dollars go out of its way to try to wreck the seasons of a couple of kids?? I post this story for another reason besides the Philadelphia organization looking really immature and petty, and its to complain about the NCAA. I really can’t stand the continuing hypocrisyof the NCAA and all its examples of two-faced enforcement of rules, and this situation just highlights one more example of why I think the organization paints too broad a brush stroke on an issue related to amateurism. Crawford points it out plainly; *every* single kid who gets drafted and who still has eligibilty left uses some sort of “agent” or “advisor” in order to negotiate. They have to; you’re talking about a situation worth potentially millions of dollars with one side (the MLB teams) who enjoys anti-trust and anti-competitive advantages over any non-union player who wants to play professional baseball and who clearly has gone out of their way over the years to drive down amateur bonuses in order to save comparative pennies on the dollar. But the big bad NCAA says that “hiring an agent” is instant grounds for nullification of eligibility for NCAA sanctioned athletics. See the problem these kids face here? Does the NCAA really expect a 20-yr old kid (hell, how about a 17-yr old HS grad?) to go stare down a career baseball executive/general manager 3 times his age in order to negotiate for his best interests?? Does anyone think that would lead to fair market values being granted to these kids? I think some sort of “negotiating window” needs to be put into play here, so that situations like this don’t happen again. If you’re a kid with college eligibility left and you’re drafted by a team (no matter what the sport), there should be an official time period where you can receive professional advice while negotiating a potential contract. These 30-day or 60-day contracts end with either a pro contract or a kid going back to school. I really don’t see the down side of a situation like this, nor why the NCAA would have any issue with it. It would allow fair representation of a player’s interests without running into the situation that is occuring here with Wetzler. I think it points to a larger issue that keeps popping up with regard to NCAA rules; the continuing criticism of just how non-sensical the rules are for athletes on “scholarship.” When I was in college, I had a job. I could earn some spending money. But if you’re an athlete on scholarship …whoops can’t do that. If I was presented with a multi million dollar job opportunity after my junior year in college and I was just a regular kid, absolutely I could hire a lawyer on contingency to help negotiate; if the contract fell through was I banned from returning to school? Nope. So why is this Wetzler kid being banned from playing baseball? What is the NCAA *really* trying to protect here? Do they really think that the college baseball game (which is, what, the 4th or 5th most important college sport in this country?) is going to undergo some drastic, life altering change for the worse because some kid decided to get some professional advice while negotiating a future contract?? I just don’t get it. (Note: there is some precident here; Andy Oliver was suspended by the NCAA based on an allegation by a former agent in 2008, sued and won $750k. That didn’t stop the NCAA’s tactics in this matter … clearly a larger punitive award was needed. A year later James Paxton was banished from school over this exact same issue and had to play independent ball instead of completing his senior season. This clearly cost Paxton; he went from being a 1st round pick to a 4th rounder; I’m not sure if he sued or not. This situation needs to be resolved). Editor Update: months later on 5/30/14, Phillies scouting director Marti Wolver came out with an amazingly lame “defense” of his actions. Law has noted that (per his discussions with people in the industry) little has come of the expected backlash against the Phillies organization. But, we haven’t had the draft yet. I havn’t been doing many “Ask Boswell” posts lately; its the off-season and long-time Washington Post writer Tom Boswell isn’t generally taking a ton of baseball questions in December. But, its the week Spring Training opens and Boswell is heading down, so we check in on the questions baseball fans may be writing. Here’s his 2/10/14 edition. Here’s his baseball-specific questions, and how I’d have answered them. Questions edited for clarity. 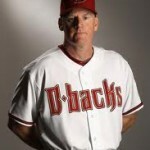 Q: Into which of your four categories of baseball managers do you expect Matt Williams to fall? And where would you place Buck Showalter? A: Before answering, you’d have to know what Boswell’s Four Categories are; they stem from an article he published more than 20 years ago. They are “Little Napoleon,” the “Peerless Leader”, the “Tall Tactician,” and the “Uncle Robbie.” See this Oct 2011 chat for some explanations of the types. 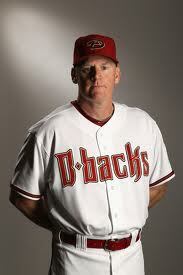 I would say that Matt Williams is clearly the Peerless Leader while Buck Showalter features as the Uncle Robbie type. I tend to classify managers into just two main categories: they’re either Disciplinarians or Player Managers. I view Williams as a disciplinarian (how could he not be; his nickname is “the Big Marine”). And I viewed Davey Johnson as more of a Player’s manager. You have to contrast one with the next when you change managers to give players a new message … hard is it to find someone who has the characteristics of both sides of that coin who can last for years and years (think Joe Torre or Bobby Cox). Boswell hedges, saying Williams and Showalter both display multiple characteristics … and then seems to back away from his own theory by saying that characterizing people into simple descriptions isn’t entirely fair. Q: Why were the Nats interested in Grant Balfour if they already have plenty of late innings relievers? A: Probably because the bullpen was a weakness last year (bymost macro measures about the 19th or 20th in the league) and a bulldog like Grant Balfour would have only made it better. Ask yourself: would you rather have Ross Ohlendorf or Ryan Mattheus going in the 7th or Balfour? Yeah, I thought so. Mike Rizzo has said that he loves making deals in late January/early February because he knows there are deals to be made. Players without contracts as spring training starts begin to panic, and come down from their salary demands. If you could get a closer-quality guy for just a few million a year … yeah you make that deal every time. Yes I know Balfour eventually signed for 2/$12m, but the point stands. There’s players out there right now that would still improve this team, and you never know what kinds of deals may happen tomorrow. Boswell doesn’t think there was real interest … but then says the bullpen needs to improve in 2013. I’m not sure I buy that; I think there was interest but he had a better offer. Q: According to a Grantland.com article, MLB has been paying the Nats some money to make up for the TV rights “gap” between what they are getting under the current deal and what they “should” be getting. If true, is this an admission by MLB that the current deal is unfair? Wouldn’t it make more sense to solve the situation as opposed to giving money under the table? Is MLB this powerless that they can’t force a solution between the two teams? A: Well, we delved into this issue in the previous post here; I can’t wait to see what Boswell’s reaction is. Boswell doesn’t say much … he quotes a member of the Nats ownership group who seemed to imply that the solution wasn’t going to be done before Selig retires. 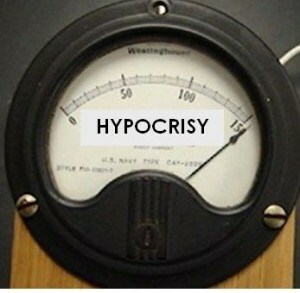 But he somehow “defends” the under-the-table payments as MLB being allowed to operate its business anyway it sees fit. Odd answer. I was hoping for an opinion here. Q: For the last two years, the Nats have seemed to lack something perennial contenders like the Cardinals and Red Sox seem to possess. In short, it was hard to kill them off. You get a lead; they come back. You stay with them for a few innings; they pull away. Is there any validity to this non-statistical assessment? And will the Nats acquire this toughness in 2014 after the experience of overperforming in 2012 and underperforming in 2013? A: Well, first, I’d clearly say that the 2012 Nats did not lack for the chutzpa; how do you win 98 games and not have the ability to finish teams off? Their season splits that year against the crummy teams in the league were fantastic. If you’re throwing out the entire 2012 season because of Drew Storen‘s meltdown in NLCS game 5 (where, remember, he had a clear game-and-series ending strike missed before giving up the crucial hit that buried the team), well that’s not fair either. However the evidence clearly points to a distinct lack of clutch hitting team-wide for 2013; see this link at Fangraphs to see how the Nats were dead last in batting average in high leverage situations for 2013. Do you lay some of this on the manager’s head? Certainly I had more than a few complaints about the way Davey Johnson ran this team last year. Will a more hard-nosed guy instill that toughness by default into his team in 2014? Yeah I do think there will be some of that; the will of the manager leading his team. Can’t measure it very well though. Boswell gives a nice answer about toughness, gutting out pennant races, Williams’ effect, etc. 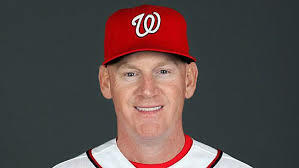 Q: Matt Williams is cited as saying that he is developing new tactics to take advantage of the new rule against runner-catcher collisions at home plate. Any idea what those tactics might be? Q: What might be the personal dynamics between Luis Ayala and Bryce Harper during Spring Training? Would Bryce carry a personal grudge about his plunking by Ayala, or would he blame the Braves as a team? A: Hmm. Wow, I didn’t realize it was Luis Ayala who hit Bryce Harper. I remember the “important” plunking being done by Julio Teheran. I’d guess Harper would think it is water under the bridge and would blame the team, not the player. And if he didn’t, he’d have a grizzled vet like Jayson Werth or his new manager to tell him to cool it. Besides; what are the odds of Ayala actually making this team? Boswell agrees. Q: If the Nats were to make one more move, either through a trade or signing of a FA, what do you think it would be? Where is the biggest need for an upgrade exist in the current roster in your opinion? A: I’d have to say an accomplished major league catcher for backup may be the biggest need right now. After that i’d say another left handed option out of the bullpen, and after that i’d say some better depth in the infield. Boswell says backup catcher then goes on a 1,000 word tangent. Q: What do you make of the two year (with huge salary escalation in the second year) deals for Desmond and Zimmermann? A: The deals make sense in a couple ways: the backloaded contract allows the Nats to maintain their payroll in 2015 without going very much higher in 2014. $30M comes off the books from the end of the contracts for LaRoche, Soriano and Span; now they’ve committed about half of that just in 2nd year pay increases to Desmond and Zimmermann. Both players would probably rather have their pay calculated this way; it makes their annual salaries that much higher as they reach free agency. Honestly I think Zimmermann is going to end up playing elsewhere, while the $11M/year for Desmond is still pretty cheap. In the end I’d sign Desmond to the long term deal and let Zimmermann walk, get the Q.O. draft pick and be replaced by one of the big arms we have coming up from the minors. Boswell agrees. Q: Do you see the Nats putting enough effort to sign international players outside of the traditional (Dominican Republic, Japan, Venezuela, etc) countries and into the Emerging Markets of Brazil, Aruba, Australia, Curacao? They’re starting to play baseball in China! A: No, and for years they weren’t putting enough effort into IFAs from the traditional places either. Look at our Big Board at the end of last season: where’s all the home grown IFAs? Solano, Leon and Perez are on the 40-man … but they’re all backups/edge of the 25-man roster guys. There wasn’t a SINGLE international free agent in AAA or AA developed by this team by season’s end. The entirety of these rosters were USA-born/drafted players and/or minor league free agents. Just two had matriculated even to Potomac/High-A; two guys signed in 2007 who are now finally in high-A (one of whom was born in 87 and clearly isn’t a prospect any longer). Look no further than at the WBC Dominican roster to see the value of developing talent out of the DSL. At least we’re finally starting to see some guys creep onto the prospect lists out of our DSL graduate lists, guys like Jefry Rodriguez and Pedro Severino being the two best examples. Boswell didn’t really answer; another tangent of a response. Q: A.J. Burnett: Wouldn’t signing him make a lot of sense for the Nats (assuming he can be had on a one-year deal)? 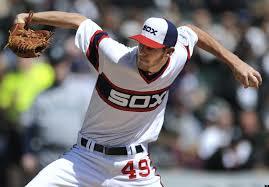 Detwiler to the pen gives us another quality lefty and he’s excellent insurance for an injury to a starting pitcher. And the Nats saved some cash by backloading the two-year Desmond/Z’nn deals. What’s not to like here? A: Can’t argue. I’ve got us north of $130M in payroll now for 2014; would he do a 1yr/$13M deal and would Ted Lerner go north of $140M? Maybe if MLB kicked in even more cash than they already are, we could turn it around on A.J. Burnett and have, hands down, by far the best rotation in the game. Is that what this team needs? Burnett > Detwiler, so it’d be an improvement. And Detwiler’s bullpen splits have been great. If it makes the team better, and its just about money, yeah i’d be for it. Boswell poo-poos the deal because he doesn’t want to block the pitching pipeline?! Whatever; the goal is to win the frigging World Series. Q: I don’t believe Davey Johnson quietly fades into the sunset. 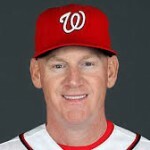 Does he still have an official role with the Nats? Do you know if he has other plans? Do you expect you’ll see him in Florida? A: If I was Johnson, and I knew what was right, i’d stay far away from this team. He’s out, Williams is in, and any lingering around just undermines the new guy. And if I was Mike Rizzo, i’d be thinking the same thing. Give him a scouting job or some BS; just keep him away from the team. Boswell says the exact same thing. Q: I was surprised by A-Rod’s sudden decision to pull his lawsuit against MLB and, despite all the initial coverage. Why’d he give up now? A: I think he (finally) got some sage legal advice about his prospects. And I think he finally listened to someone giving him sane counsel. He’s got bigger problems ahead, like who is going to possibly give him a shot in 2015 or beyond… Wow, Boswell trashes him with some vindictiveness. Issue: CSN Houston couldn’t get most of the cable companies in Houston to pay its fee demands, so 60% of local residents can’t watch the games and CSN Houston just went chapter 11. (There’s more to this story than this sentence; Thurm’s article has links to more detailed overviews). How I think it will play out: I think the fact that CSN Houston is now in Chapter 11 will grease the skids towards getting the games onto the local carriers at significantly cheaper fees, which means less money in the Astro’s pocket. Oh, and they probably lose their ownership percentage too as the bankruptcy court pays out debtors. How I wish it would play out: I think the Astros have dug their own grave here. Lots of executives and baseball pundits are praising their “purposely bad” strategy, which has resulted in 3 straight #1 overall picks, three straight “worst in the majors” seasons, and they’ll likely challenge for a 4th straight such season in 2014. This may be a great long term strategy … but if I was a season ticket holder or a suite renter I’d be beyond livid at the product being put on the field. You want me to pay to see your team play? Then show me you’re at least *trying* to field a competitive, entertaining team. In that respect I don’t feel the Astros deserve nearly anything close to the RSN fees it’s getting. The fees Houston gets should be commensurate with the product its putting on the field; make them sign a cheap deal until they’re good again, and then they can re-negotiate. Issue: Alex Rodriguez got an unprecedented suspension not entirely in line with the JDA signed between MLB and the MLBPA, and is suing everyone and their brother to try to get reparations and/or reversals. How I think it will play out: I think union arbitration processes are sacred and the courts are not about to change that. All A-Rod’s lawsuits to that end will be tossed, he’ll serve his suspension, perhaps he’ll play some independent league baseball or go to Cuba or something (boy wouldn’t that be a thumbing of the nose to America). And then sometime in the off-season of 2014-2015 the Yankees will outright release him, nobody else will pick him up, and A-Rod will go the way of Barry Bonds with his hundreds of millions of dollars and ruined reputation. How I wish it would play out: I’ve gone on record a couple times in this space (here and here) about how I think both sides are culpable in this mess. I believe A-Rod continued to dope and more and more I believe he showed a distinct pattern of cheating to the point where I don’t have a problem if he never played again. But in the meantime I believe what MLB did to pursue A-Rod went far above bounds, and I believe that Selig was colluding with the Yankees owners in some respects (just as I believe Selig has organized collusion among the owners against players and/or the MLBPA several times in the past). I wish MLB would lose its anti-trust exemption so that a number of the unsavory situations in the game could see the light of day in a courtroom. It’ll never happen. Issue: Oakland wants and needs to get out of its sh*tty stadium and San Jose is an ideal spot to move. Except that San Francisco is claiming that as part of its god-given “territory” despite evidence that it was once Oakland’s to begin with and the then-Oakland owner “gave” it to SF out of gratitude. Meanwhile, San Jose filed an antitrust lawsuit to try to compel movement in the interminable “blue-ribbon panel” that Bud Selig appointed years ago but which has done nothing. How I think it will play out: Well, the lawsuit that San Jose filed against MLB has no chance of winning. How do I think the whole Oakland moving thing will play out? Unfortunately, I think the commissioner (who, remember, works at the behest of the owners) will *never* broach a territorial battle of one of its owners, because that’d set a precedent that they wouldn’t be able to fix (think about how many teams would *love* to move to Brooklyn and immediately have a 10m person fan base…Tampa Bay would be there tomorrow with their NY-based ownership group). So Oakland will continue to be stuck in Oakland until maybe possibly they decide to test a new market in Portland or San Antonio or Charlotte. Except that (of course) all those markets also have the same territorial rights (from Seattle and Houston and Washington/Atlanta respectively), so maybe that’s a non-starter too. *sigh*. How I wish it would play out: I wish the Giants would just be forced to admit that San Jose is not part of their territory. Perhaps when they played in Candlestick and it was workable to drive from San Jose to the south of the city to see a game. Now? The heart of San Jose is 50 miles from the Giants stadium, which is in the middle of the city with limited parking. It is exactly akin to driving from DC to Baltimore on a mid-week night to see a game … except that the Baltimore stadium has acres of parking paved out. Oh and if you realistically wanted to make a 7:05 start in Baltimore and you lived in Northern Virginia … you’d be leaving your house at 4:30 to ensure you beat the traffic. For that reason, I feel that the A’s should be allowed to move to San Jose and re-distribute the fan-bases of the Bay area. Large swaths of the Oakland suburbs in east bay would now be so much closer to AT&T park than the A’s stadium that they may start patronizing the Giants, while huge swaths of the south bay would now have an easily accessible team to visit and follow. It’ll never happen though. Issue: Thanks in part to the whole “territory” issue mentioned above, MLB now finds itself with these arcane blackout policies that are incredibly unfair to people who live in certain “multi-team territory” states and who depend on MLB.tv to watch games. If you live in some places like Iowa, south Nevada, Oklahoma, Connecticut, etc then you may be completely blocked from watching your local team altogether, thanks to MLB blacking it out and your local cable channel perhaps not carrying your favorite team’s games. How I think it will play out: I’m sure MLB will continue to claim that it can’t compete against its RSNs … not while these RSNs continue to line the pockets of owners. Remember, everything baseball does is about putting extra pennies in the owner pockets. See the CBA, limits on amateur spending, the cap on posting fees for Japanese players, everything. Thurm also maintains an equally excellent overview of the Regional Sports Network (RSN) deals in place for MLB teams, so that fans can see just how ridiculously unjust the current revenue distribution is in the game. By way of example; the Dodgers are getting an unbelievable $340M/year from their RSN deal while Pittsburgh gets $18M. Yeah; that’s pretty much the definition of an uneven monetary playing field. Yes some of this money goes into a revenue sharing pot, but the lions share of it stays with the team, and enables the Dodgers to have a payroll 5-6 times that of most of its competitors. I bring up this last point because (in case you didn’t know or havn’t been reading the comment sections here) Jonah Keri recently published an excellent “expose” of the downfall of the Baltimore Orioles under the “leadership” of Peter Angelos, and it contains a very interesting nugget of information about the ongoing Nats-O’s MASN struggle. Thurm didn’t go into this particular issue because it isn’t a “legal issue,” meaning there’s no lawsuit pending. Not yet anyway; Keri discovered that MLB has been making secret under the table payments to the Nats to make up for the obvious and clear RSN revenue shortfall that the Nats are being screwed out of in the current MASN deal, and Keri alleges that these payments are being made in order to PREVENT a lawsuit from Ted Lerner and the Nats ownership group. Which only makes sense to me. Washington’s market is about the same size as Dallas, in terms of population. It is significantly more wealthy. However the baseball-watching fan-base isn’t as developed as in other mature baseball markets. You can easily make the argument that the Nats should be getting a comparable deal to what the Texas Rangers on some levels, but not others. The Rangers are getting a whopping $150M/year from their deal while the Nats get $29M (plus whatever under-the-table cash from MLB) from MASN. Its no wonder the Nats have demanded $100M from Angelos, and its frankly ridiculous that Angelos’ thinks his counter of $35M is anywhere close to equitable. And its no wonder this hasn’t been resolved yet, not when the sides are $70M apart. That being said, Keri lays out a rather reasonable explanation why Angelos is worried about this whole deal, and why it may be impacting his on-the-field product. How I think it will play out: a deal is a deal, and I’ll bet the Nats are stuck with this deal for the long term. Thanks Bud! How I wish it would play out: I wish the league would just recognize its deal with Angelos was hopeless and force a one-time buyout fee and/or a splitting of the RSNs. I’d love to see a buyout of the deal (costing hundreds of millions of dollars), and then a new RSN and/or a joining forces with CSN Washington (who already broadcasts Wizards and Caps games) to create a strong Washington DC RSN. I’d even be willing to throw some ownership percentage as an appeasement to Angelos. Maybe we can do some partnership deals with MASN to broadcast Orioles games in the DC area on CSN-Washington2. Let Washington control its own destiny. Editor Note: I corrected Wendy Thurm’s name throughout; I had it as “Thrum.” Thanks to commenter Wally for pointing this out. One of the interesting components of the Nats 2013 schedule, often repeated in this space in the early parts of last season, was how “front-loaded” it was in terms of opponent quality. The team’s April and May of last year was loaded with playoff calibre teams, and it wasn’t really a surprise that the Nats were just a .500 team early on. That front-loading also led to a very sparse period in June and July of 2013 where the team played 8 straight weeks of games against teams who failed to make the 2012 playoffs. I didn’t sweat our .500 record at the end of April because of it, pointing to the crucial June/July period as a spot in the schedule where the team should have “made up” for its early season. As we now know, the team continued to play flat all summer and only finally “woke up” when playing a very soft September schedule, and the .500 record in the early parts of the season was far more indicative of the 2013 team than practically any of us thought going into the season. Caveat before going on; yes I know that the fact that a team made the playoffs in 2013 doesn’t mean they’re automatically going to make the playoffs in 2014. And yes I know that poor teams from last year are improving and could be more “frisky” in 2014. That being said … I feel like we’re in a very odd time in Baseball, where payroll issues, changing dynamics caused by the collective bargaining agreement, and teams being stuck in transition are leading to teams being very slow to change their fortunes. Only Six teams in the NL finished with winning records last year; the 3 divisional winners, the 2 wild cards and the Nats. If you look at the other 9 teams … which are honestly going to be in a position to improve and be a playoff challenger at this point? Certainly not Miami or the Cubs. Philadelphia looks to be in continued decline. The Mets signed a bunch of re-treads and lost their main pitching weapon. The Giants spent tens of millions of dollars and didn’t improve their team. The Padres have 1/5th the payroll of their divisional rivals in Los Angeles. Colorado still has no pitching. Arizona keeps losing trades to get rid of players who don’t fit their manager’s beliefs. Perhaps only Arizona could be friskier in 2014. Its hard to look at the divisions and not basically predict a repeat of 2013’s playoff races. Maybe Cincinnati and Pittsburgh regress a little bit. St. Louis and Los Angeles look every bit as strong as they did last year. So, basically the games we need to be worried about are almost entirely driven by last year’s playoff teams. So, once again the team starts the season with a relatively tougher schedule, having to play two sets against the Braves and a 4-game set at home against St. Louis in April. The Braves by all accounts are weakened by the loss of two key players (Tim Hudson and Brian McCann), and have done relatively little to improve their team this off-season, so perhaps some regression from last year’s 98 win team is in order. Still, the Braves are the primary competition for the NL East crown and those early games will be crucial. The Nats also will play the payroll-heavy/possibly improved Angels and the up-and-coming Padres in April, in addition to two 3-game sets against the Marlins and their band of up-and-coming youngesters. It could be another rough month. May doesn’t get any easier; fully half their games are against 2013 playoff teams. The Nats get the Dodgers and their murderer’s row of pitchers at home, then a west coast trip in Oakland and in Arizona (who finished 81-81 last year and could have made the table above look even more daunting), then a 3-game set at home to Cincinnati (who look to be somewhat weaker but still present a great rotation) before traveling to Pittsburgh for 4-games (tough) and then finishing the month at home against AL-power Texas. That’s a tough month. June eases up a bit, but it does feature another west-coast trip that includes four games in San Francisco (who could be improved this year) and then three in St. Louis (where we were swept badly last year), before returning home for a big four-game set against divisional rival Atlanta. The rest of the month looks manageable. July looks to be the easiest month of the season; the toughest series will be in Cincinnati and a home-and-home against Baltimore. The entire baseball world is questioning the direction of Baltimore these days, but they are an AL team that features Chris Davis and a plus offense, and those interleague “rivalry” games are always tough. August features lots of divisional games early on, a 3-game home set against Pittsburgh, and then the beginning of the final west-coast trip of the season in Seattle (an interesting team for 2014). September starts with the toughest series of the year; 3 games in Los Angeles and then finishes with seven straight divisional series … including the last 10 games against the Mets and Marlins. Which may be a good thing if the team is chasing a playoff spot or positioning towards the end of the season. Conclusion: like in 2012 the Nats early schedule is significantly tougher than the middle portion (especially August, where they play just 6 games against teams with winning records in 2013). The Nats will have to weather the storm early on and hope to dominate and catch up on playoff rivals during the dog days of summer. Why is this important? Because generally speaking if you can go .500 against the good teams and then go about .600 against the other teams, you’re almost guaranteed a playoff spot. Consider: if the Nats go 24-24 in their 48 games against playoff teams, then play .600 ball in the other 114 games (68-46) … that’s a 92 win season. I think that’s a great goal for this team; 6 games improved with a hope of picking up a few of those games against Atlanta and pipping them for the divisional title. ps; just 8 days until Pitchers and Catchers report! Q: Even though the Nationals are confident with Denard Span in center field and they have strong center fielders in the Minors, is it possible that they might try to get Matt Kemp at the Trade Deadline or next offseason? 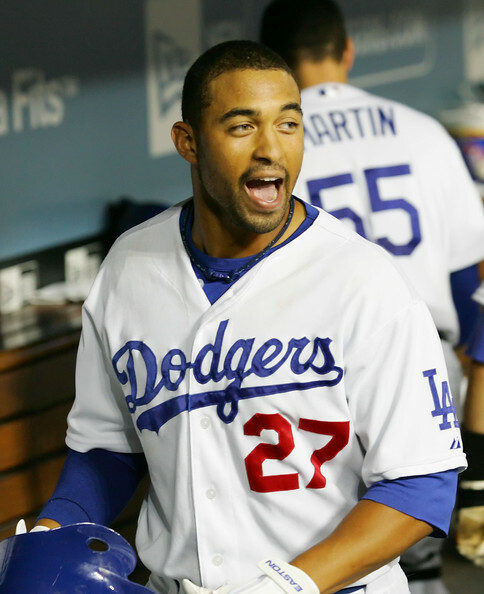 A: Matt Kemp‘s name has come up in this blog in the discussion spaces once before in an interesting “what-if” game. The question as it was posed was this: “Would you, straight up and with no salary relief, trade Matt Kemp right now for Anthony Rendon?” Think about it; Kemp is owed $127.5M over the next six seasons ($21-$21.5M per season). He put up MVP numbers in 2011 (many thought he should have won instead of Ryan Braun, even more so after Braun’s positive PED tests) but has floundered with injury and sub-par performances (relative to his salary) for the past two years. Meanwhile Rendon is getting paid a fraction of what Kemp’s salary is, is younger and has room to grow, but so far has been merely a league average player. Its a good question: do you run the risk of a $20M boat anchor on your roster, taking up 1/7th of your salary cap, or do you roll the dice that Kemp returns to his former glory and earns his pay? Or do you bet on Rendon becoming a significant player cost contained and under team control for another 5 years? For me, I think you stay away from Kemp. That’s a ton of money with no guarantee that 2014 will be any different from 2013, and the Nats already have enough pending payroll problems without adding one more $20M player. As for the question at hand, I see no inclination for Mike Rizzo to make such a move, now or ever. He spent a lot of capital (our best starting pitching prospect at the time in Alex Meyer) to get Denard Span, he sought him out and coveted openly him for years, and now he has him. Span’s not going anywhere. As for next year, we’re in a wait and see. One of our best prospects is a CF candidate in Brian Goodwin, but he took a step back in 2013. If Goodwin steps back up in 2014 or doesn’t pan out, we can exercise Span’s 2015 option at $9M and wait for the next best CF prospect in our system (Michael Taylor) to grow. If neither prospect pans out, we don’t have to worry about it for a few years. But, at some point you hope this team can grow another prospect to replace an aging $9M free agent with a minimum salary guy. Ladson basically says what I say, but in fewer words. Q: The Nationals still have bullpen questions that were not addressed during the offseason. 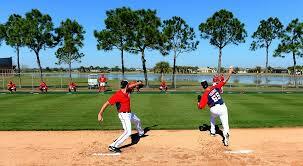 Do you think the Nats will sign another lefty for the bullpen? Or will they use Ross Detwilerin relief? A: Do we have bullpen questions? Where? We got a lefty (Jerry Blevins) and we have another decent lefty option who pitched decently for us last year (Xavier Cedeno). 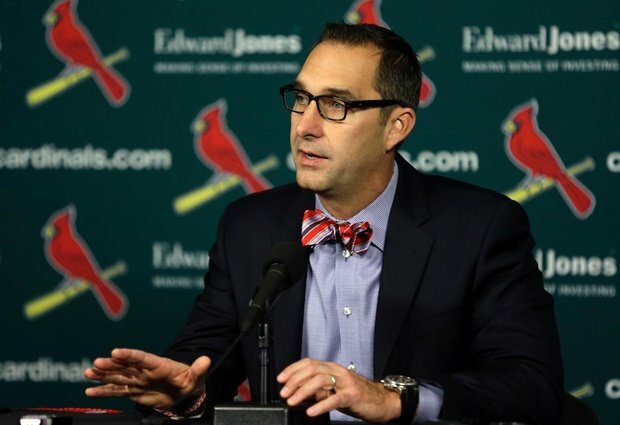 I’m quite pleased with the state of our back-end guys (Soriano and Clippard), our 7th and 8th inning options (Storen and Stammen), and our long-man options (Ohlendorf and Roark). Remember; Clippard has great lefty splits, always has. If our loogy doesn’t work out that well, we go back to using Clippard periodically as a match-up guy. Or we call up Sammy Solis. Hell, we could even try Matthew Purke as a bullpen option (he’s on the 40-man after all); scouts are souring on him ever being an effective starter, but his weird motion and shorter stints could help him feature as a bullpen guy. I think you use Ross Detwiler as a starter until he proves otherwise; as mentioned in this space time and again, Detwiler was effective in 2012, started well in 2013 and got hurt; I have no doubt that if healthy he can start 2014 as he started 2013. Ladson says similar things about our lefty options. Q: How is Adam LaRoche‘s health going into Spring Training? He looked as if he lost a tremendous amount of weight last year. A: Adam LaRoche looked healthy enough in all those shots that appeared of him killing things on the internet over the winter. Seriously; who knows what the answer to this question is. But we know he’s aware of the situation and should be taking steps to maintain his strength and weight in 2014. It is a contract year after all, and he’s shown a proclivity towards having career years in contract years when he needs them to secure his next paycheck. I can’t see him “platooning” like a lot of bloggers seem to be calling for, but I can see him being told by management that he needs to maintain his production or he may be banished in phantom DL trips. Ladson reports that LaRoche was taking an ADD medication, believes he has it figured out, and predicts a Gold Glove in 2014. Random prediction but sounds good. Q: Any chance Nationals could bring back Jesus Flores as a backup to Wilson Ramos? A: Well, Jesus Flores is still out there as a MLFA. 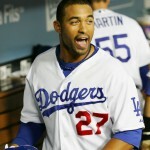 What doesn’t speak well of him is the fact that he was released in May of last year by the Dodgers. Clearly to me, he’s no longer a viable major league backup candidate. I can still see the Nats giving a non-guaranteed contract to one of the few remaining veteran catchers to see if one of them sticks as Ramos’ backup, but at this point I wouldn’t be surprised to see the winner of a competition between Jhonatan Solano and Sandy Leon sticking as the backup. That being said, both these guys were awful in 2013 in the minors offensively and I don’t have a good explanation why. Leon seems like the better bet; better history of batting, younger. Chris Snyder has had a rough couple years but is still relatively young and has had stretches of decency, if the team wants to go with a veteran backup instead of a rookie. I dunno what’s going to happen. On the bright side, Keith Law‘s just-released top 10 for the system (ESPN Insider only) includes one Pedro Severino, giving him relatively glowing grades for his defense. He’s a couple years away (born in 1993) but if he succeeds in Potomac this year he could be a ready-made Ramos backup sooner than later. Ladson says the team had a problem with the way Flores called games … hmm, never heard that before. Ladson also predicts more signings before Feb 1. Q: I sense a double standard: why give continued chances to Danny Espinosa but essentially shut out Drew Storen? Am I missing something? Similar struggles, but at least Drew fought his way back to the Majors. A: I’m not sure what “chances” Danny Espinosa is getting at this point, nor am I sure what Storen has been “shut out” of. The team bought Rafael Soriano, are paying him a ton of money, and he’s the closer as long as he’s here. That’s that; both Storen and Clippard got pushed down a peg when he got acquired. Meanwhile, I think its clear that Anthony Rendon is the starter, and Espinosa is playing for a backup role. Maybe there were just too many quotes taken out of context from NatsFest. Ladson re-iterates his believe that Espinosa will be traded.